ST. PETERSBURG Fla. January 15, 2019 — Last week, a Norovirus outbreak aboard a Royal Caribbean cruise sickened hundreds and forced the ship to return to port early, spurring a wave of questions and concerns from travelers with upcoming cruises. 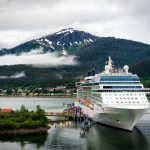 Travel insurance comparison site, Squaremouth, explains travel insurance coverage for travelers worried about Norovirus affecting their cruise. Insured travelers who become sick during a cruise can be covered for related medical expenses under their policy’s Emergency Medical benefit. If a traveler needs to be disembarked due to illness, the Medical Evacuation benefit can also cover a traveler to be transported off the ship for treatment and even to return home early if medically necessary. If your cruise is forced to cut the trip short due to a widespread illness outbreak on board, travel insurance can provide coverage for travelers to return home early from their trip. While cruise operators may refund the full or partial amount paid for the cruise due to the outbreak, Trip Interruption coverage can also provide reimbursement for unused trip costs, including missed nights at sea and prepaid excursions, as well as transportation expenses to return home. Fear of contracting the Norovirus while traveling is not a covered reason to cancel a trip under standard Trip Cancellation policies. However, travelers who purchase the Cancel For Any Reason upgrade can cancel for a reason that is not otherwise covered, including fear of contracting the virus on a cruise.